Sat, 27 Jun 2009 | Published in I Was There . 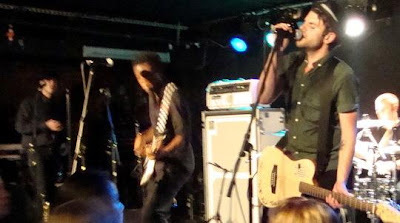 . .
From the moment lead vocalist/guitarist Jay Malinowski and bassist Eon Sinclair took the stage, the intimate yet sold-out Mercury Lounge erupted with accolade and applause that didn’t cease until Bedouin Soundclash left the building. The crowd definitely got excited for popular songs like “Walls Fall Down,” “When the Night Feels My Song,” and “12:59 Lullaby,” which seemed very close to the band’s heart as both members took a seat and seemed to share a brief moment of silence before performing it. One of the highlights for me was when they busted into an energetic cover of “A Message to You Rudy,” undoubtedly one of the greatest reggae-ska songs around. 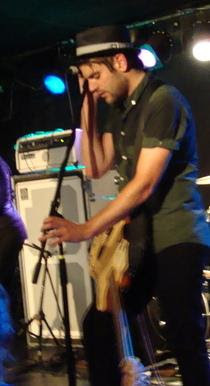 The band encored with “Shelter” and “Nothing to Say,” two songs off of 2004’s Sounding a Mosaic. After seeing Bedouin Soundclash perform for the first time, I definitely got what the fuss was about. It’s rare to find a band that puts as much soul into their live performance as they do their studio sound, and Bedouin did so with stamina and a smile. As far as their future, this reggae-soul-dub duo has nothing but bigger and better ahead of them. 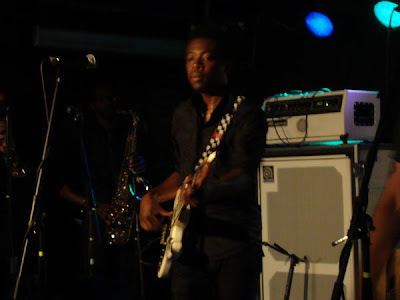 Check out Bedouin Soundclash on tour this summer with No Doubt.